Headed downhill on a gently sloped green run with another skier in the distance. I’m gliding down a hill on my cross-country skis, snowflakes nearly blinding me, wind rushing in my ears. It’s exhilarating – only hours ago I had never worn a pair of skis in my life, and now here I am, in total control. I hold my poles under my arms pointing backwards, and keep my knees bent like my instructor told me to. My skis I keep carefully parallel, snow-plowing slightly to control my speed and adjust my direction. My heart is pounding, and I can’t keep a stupid grin off my face. And then my ski tips cross. My arms jerk up for balance. One pole flies out of my hand and the ground rushes up to meet me. So let’s just say that my Scandinavian ancestors failed to leave me with any kind of talent for skiing. Sunday was my first day of cross-country skiing, and I’m pleased to say that it was a great experience. I decided to play it safe and take a lesson for my first day out. 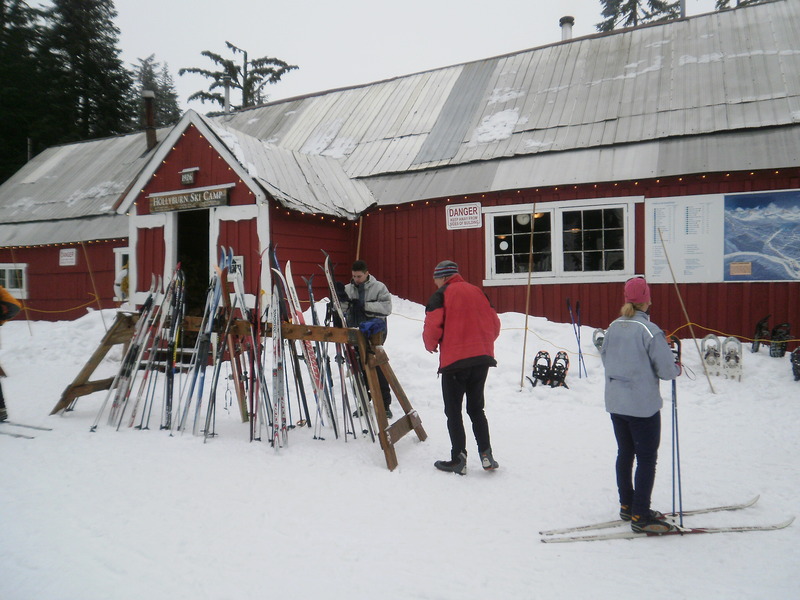 I opted for Cypress Mountain’s Classic Lesson 1, and it was a good call – The $66 fee includes a 1.5 hour lesson, equipment rental and day pass to the nordic area. I began my lesson on a nice flat area, where the instructor, Teeam, taught us the basics: how to move your feet, how to use your poles, how to avoid falling on your face (that last one I was only marginally successful at). From there, he took us out into the trails. 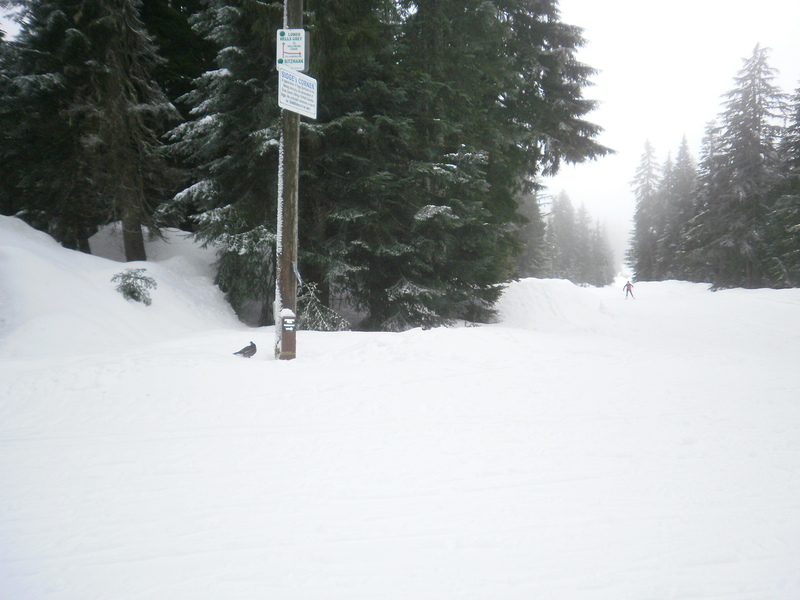 The Cypress Mountain nordic area is actually on Hollyburn Mountain, and includes an extensive web of trails, ranging from flat beginner trails to more challenging hills. I had my first hill experience on a green run. And I should probably say that this “hill” was more of a gentle bump. I learned how to stop myself and control my direction, and it was a lot less terrifying than I’d expected. and how to stop in an emergency (when in doubt, crouch and fall to the side). Teeam told us that it takes cross-country skiers around 20 years to truly become good at the sport. It takes hours of training and technique work to move in the most efficient way. But the great thing about the sport is that while it may take years to perfect, it’s possible to grasp the basic skills on the first day, allowing beginners to participate in and enjoy the experience right from the outset. I will definitely be heading back up the mountain as soon as possible! 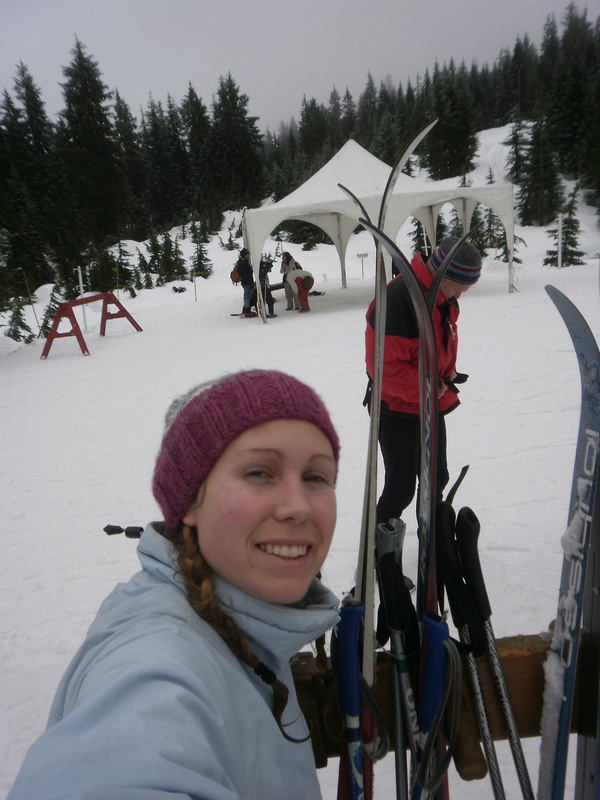 Posing with my rented skis after three hours in the Cypress nordic area on Hollyburn Mountain.